Precision fluid control is a key part of any efficient and reliable hydraulic system. And you can’t get precision fluid control without the right valves. For the sake of your hydraulic equipment and your business, be sure you choose a reliable product like Oilgear valves in San Bernardino CA. Pressure: Oilgear is no stranger to high pressure applications. Certain types of standard Oilgear valves in San Bernardino CA can handle up to 4,000 bar. Ready to Order Your Oilgear Valves in San Bernardino CA? 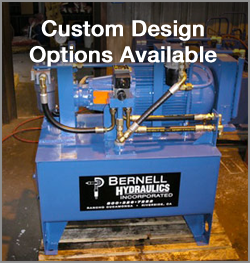 At Bernell Hydraulics, we offer a variety of options for ordering your Oilgear valves in San Bernardino CA to suit your busy schedule. You can come to one of our stores in person or place an order over the phone by calling 800-326-7252 during business hours. Or, if it is more convenient for you to do your ordering after hours, feel free to visit our online store or use our convenient online contact form.